After we collected and selected plastic bottles to be made into percussion instruments, we set out into the park to collect small pebbles, twigs and other small things to put inside them. Once we had everything we needed to begin making our shakers, we sat in a circle and shared the different sounds made by what each camper had collected. We found out that pebbles will make a sharp sound, and twigs will make a soft sound. The next day, we decorated our shakers with tissue paper dipped in watery Elmer’s glue. 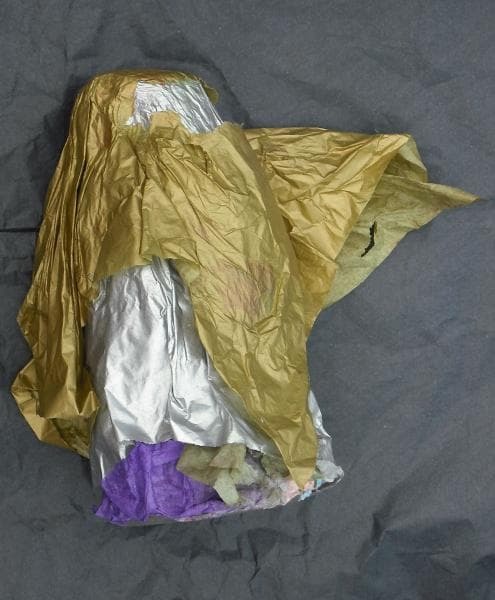 The tissue paper added color and affected the sound. Campers who used more glue could make a louder sound since their bottle became harder. Campers who used less glue and more paper could make a softer sound. We then shared our own rhythms and played our new instruments together in a circle.